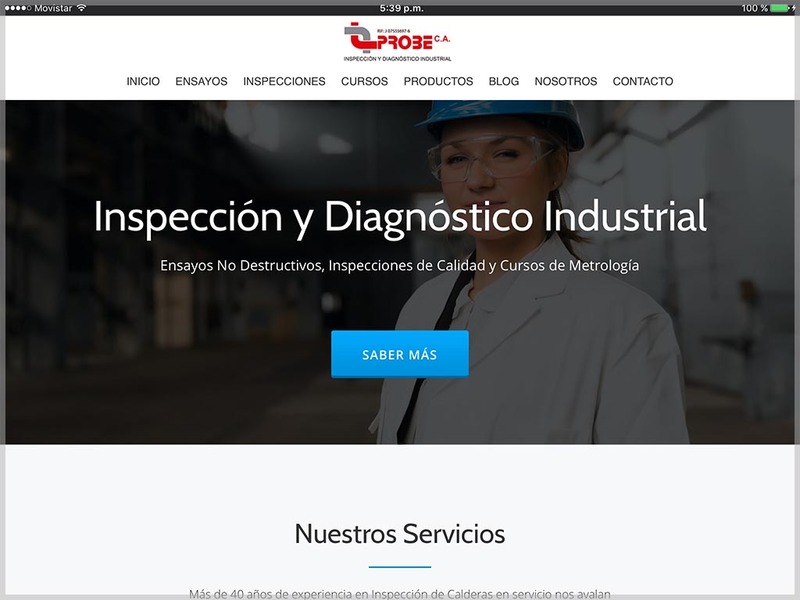 Since it is an industrial inspection and diagnostic company, the Probe website objective should be to expose its services and products to a very clearly segmented niche. Probe wanted a web site in both English and Spanish. The audience would not be the same in every language. In addition, the SEO strategy would seek to position the web around non-destructive testing, metrology training courses and boiler inspection, because all of these are the main services of the company. For the design it was chosen something rather sober, that would agree with the target public. All this requirements were included inthe project to reach the final result.